The Defender® Starling and Sparrow Spike will stop small bird like sparrows, starlings, swallows, blackbirds and crows from being able to land, roost or nest on any surface on which it has been installed. This premium multi-purpose Defender® Spike will also protect from larger birds, like pigeons or seagulls, if they too are causing bird control problems. 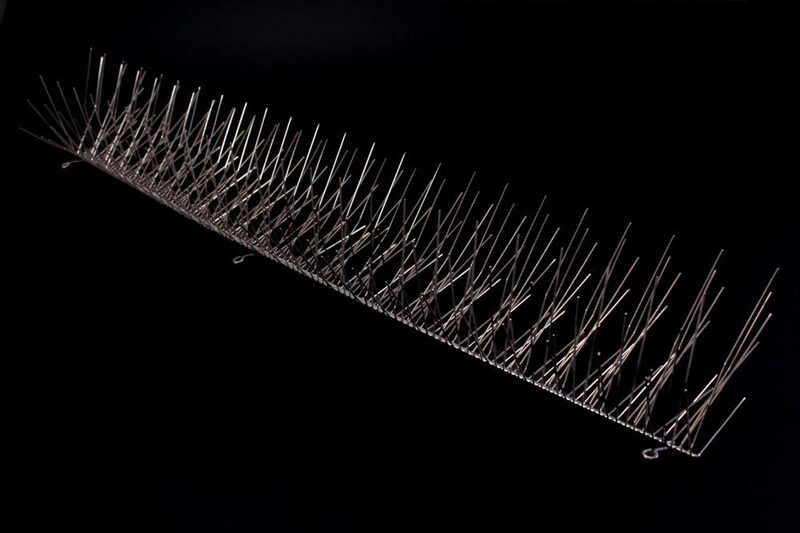 This first-class stainless steel sparrow and starling spike has been designed with an incredible 240 wires per strip, all fanning out in an intimidating 180 degree span that will deter any bird once the spike has been installed. It is the ultimate bird control available on the market. 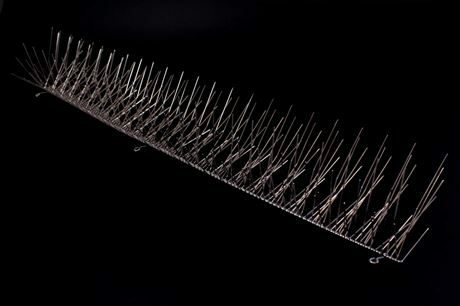 The Defender® Starling and Sparrow Spikes should be used to protect ledges that have a depth of up to 10 cm (4 inches). This spike is the most versatile available as it will protect affected surfaces from a large range of birds. This can be a real advantage when tackling a multiple bird control issue, as well as being cost effective in the long term. Each strip has an overall length of 62 cm (24 inches). However wire snips or a hack saw can be used to cut the strip to smaller lengths if required. This small bird control spike comes ready to use with no additional assembly required. For a successful installation you must cover the entire area affected by the small birds. If the surface is not completely protected the small birds will simply nest, roost or land in between or around the spikes. Each strip of Defender® Starling and Sparrow Spike comes with two stabilising clips that can be used at each end. It is then recommended that a 12 mm bead of silicone is put along the base of the spike, and the spike pushed down firmly into position. Depending on the surface where you are installing, the clips can simply be used for stabilising the spike until the silicone has cured or can be screwed down for extra strength. 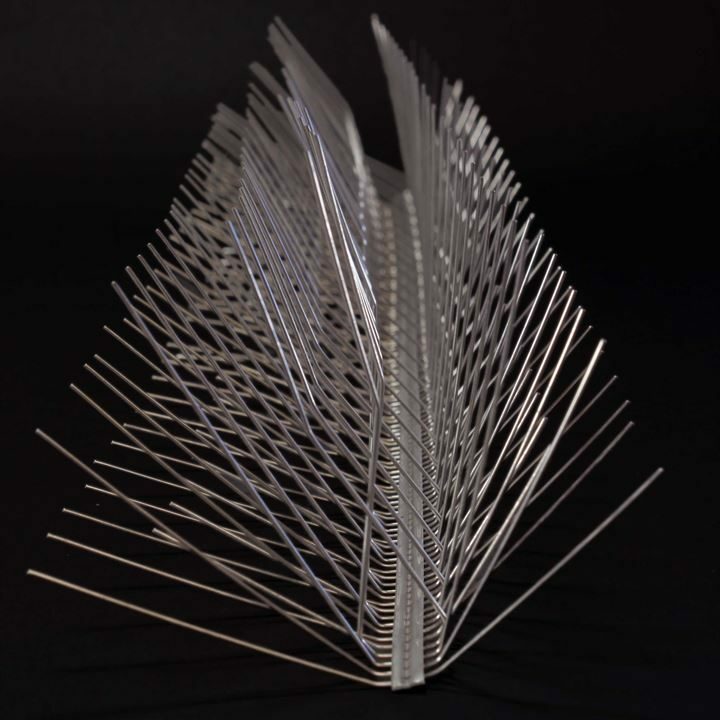 Click here to view Defender® Starling and Sparrow Spikes - Installation Guide It is important to check the suitability of surfaces for use with Defender® Silicone. For more information, please visit the product page Defender® Fixing Silicone Adhesive Glue. Small garden birds like sparrows, starlings and crows are often a delight to see around your home. However, they can become a nuisance if they decide to roost, nest or perch in unwanted areas. You may need to find a humane way to remove small birds, without injuring or harming them. If this is the case you have found the right small bird control spike for your problem. Although this spike looks aggressive it actually acts as a deterrent for the sparrow or similar sized bird. They will rarely attempt to land on it once installed and if they do, it will be uncomfortable and they will move on to a new, less challenging location. 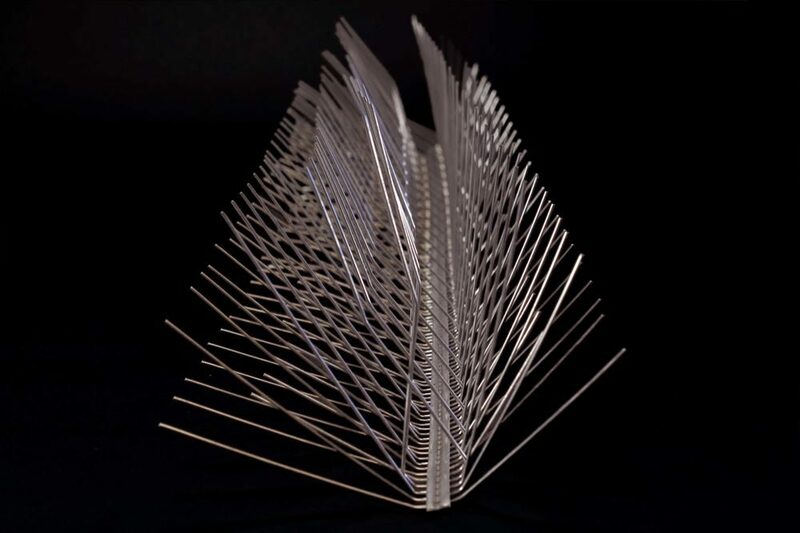 The base of the Defender® Starling and Sparrow Spikes is made purely from 316-marine grade stainless steel. This makes the bird control spike strong and durable - it will not rust. A super-tough spike, it won't let you down, and is guaranteed to perform. The spike also comes with a 12-Year Warranty. Defender® Starling and Sparrow Spikes have helped humanely stop small birds landing and causing problems on many people's homes Please read some of the reviews here:Read Starling and Sparrow Spikes Reviews. If you have a "How to get rid of sparrows and starlings" question, please contact us and we will get one of our specialist team members to call you back as soon as we can. (Mon - Friday 8.30am - 4.00pm). For every 12 strips (or part of) that you order, we will automatically add one tube of fixing adhesive to your basket. Only our Defender® Adhesive is recommended as others may not stick to the base.